Let's take a look at the facts. Homeschooling statistics show that homeschoolers out perform public school students academically and socially. The National Home Education Research Institute is an organization founded by Bryan Ray, Ph.d. that conducts homeschool research and publishes the Home School Researcher. According to the NHERI's homeschool statistics, approximately 2 million children in grades K-12 were homeschooled in the U.S. from 2007 - 2008. 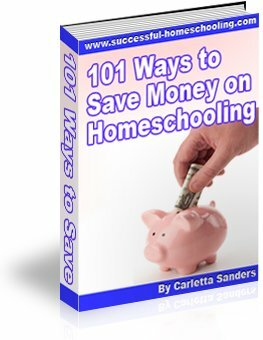 The homeschool population is growing at the rate of 5-12% annually. About 15% of these families are nonwhite, and the numbers continue to grow as minorities realize home education is a valid choice for their families. Here is some additional information about The African-American Home School Movement. How Do These Students Perform? The superior performance of home educated students is not limited to academics. As detailed in HSLDA's report, Homeschooling Grows Up, a large percentage of homeschool graduates attend college, are active in their communities, and are politically involved. Over 90% of those studied are glad they were homeschooled, and over 80% plan to educate their children at home. You can provide your child with an education better than that offered by public schools regardless of your race, income level or even whether or not you finished high school. Further, home education reduces differences in achievement between males and females, and whites and minorities - all without government supervision. You don't have to be rich, college educated, certified or a specific ethnicity to successfully educate your children. Here are some additional homeschooling facts. Here are even more facts about homeschooling.